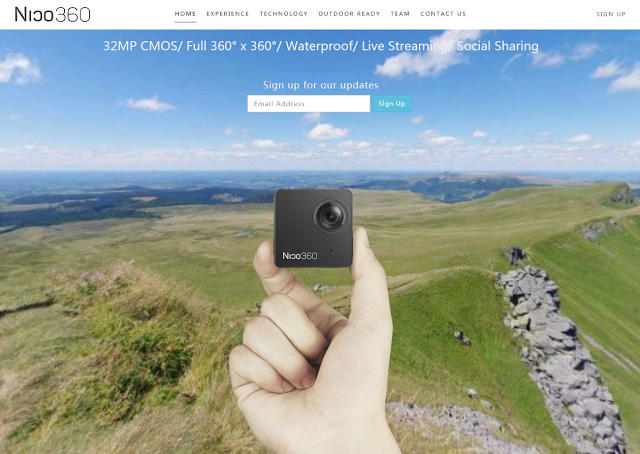 Would you be interested in an extremely compact, fully spherical, waterproof 360-degree camera with live streaming? Did I mention it’s only $199? Check out the Nico 360! The Nico360 is claimed to be the smallest fully spherical 360-degree camera. It competes for that title with 360 cameras such as the Luna and Nikon Keymission, but it’s definitely one of the smallest, if not the smallest I’ve seen. 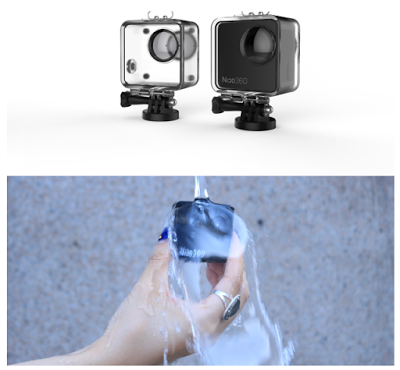 The waterproof claim is a little puzzling because they also show a waterproof housing. But then again, they also show the camera under a faucet, without the housing. I am supposing the waterproof housing is for greater depths. Right now they are doing an Indiegogo crowdfunding campaign, with delivery promised by October 2016. The first two hundred orders are $99 plus shipping. Again, that sounds almost too good to be true! This will definitely be on my radar… Caveat: Please note that crowdfunding doesn’t guarantee that you’ll get your product or it can be delayed by several years. Sometimes you won’t get it at all. HERE is their official webpage.